Starting to feel like you need a vacation from your vacation? St. Maarten offers so much to do and see—but even if you somehow weary of its unique half-French, half-Dutch makeup and its stunning beaches, this amazing island still has a few surprises up its sleeve. 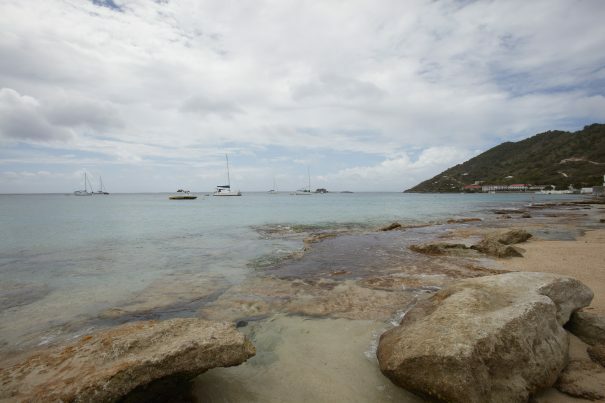 St. Maarten is nestled close to some of the most beautiful spots in the Caribbean. From St. Barts to Saba, the perfect escape is out there for pretty much everyone. Aqua Mania Adventures, the water sports and tour provider that partners with Divi Little Bay Beach Resort, currently offers six day trips off-island. Edge to Saba — Enjoy a quiet getaway with plenty of time for sightseeing in picturesque villages, hiking in the rainforest or scuba diving in world-renowned dive spots. Edge to St. Barts — St. Barts has gained a reputation as a decadent vacation hideout for the rich and the famous. Don’t worry, though—ordinary folks are welcome, too. You might even spot a familiar face from TV or film! Enjoy fabulous boutique shopping and some of the finest cuisine in the Western Hemisphere. Lambada to Prickly Pear & Anguilla — Experience the pure, unspoiled splendor of Anguilla and its tiny neighbor, Prickly Pear Cay. Spend the day snorkeling, swimming and just relaxing. Tango Dolphin Discovery — Visit Dolphin Discovery’s new park on Anguilla, the largest natural habitat dolphin park in the Caribbean. This is your chance to swim with dolphins. Tango to Cove Bay — You’ve definitely earned a trip to Cove Bay on Anguilla. The white sand beach is your home for the day as you enjoy the view of St. Maarten’s lush, tropical hills. Tango to Shoal Bay — Shoal Bay on Anguilla is considered to be one of the top 10 beaches in the world. Land at Cove Bay and travel by taxi to Shoal Bay, touring the length of Anguilla. Then sit back, relax and spend the day in paradise.